My Rating: 3 out of 5 stars. Leviathan Wakes is yet another novel where the hype hurt it rather than helped it with me. Simply put, I went into the read expecting this space opera to reinvent the genre! Blow me away! Render me speechless! Astonish me! And, while it was an entertaining science fiction novel, it didn’t do those things, so in my mind, it was a major disappointment. But I’m jumping ahead of myself, let us begin at the beginning. The story itself starts where it should: space in the future! A time when human colonies cover the solar system, and man-made crafts swarm from Earth to the Moon to Mars to the asteroid belt and beyond (though not the stars yet) carrying people and goods on the zero gravity highways of this future. Our guides through this era are Jim Holden, XO of an ice miner starship running between Saturn and the Asteroid Belt, and Detective Miller, a law enforcement officer from the Belt who has become obsessed with finding a missing woman. And as readers follow along behind these very different men, they are shown glimpses of an amazing but sad future; one where humanity has escaped Earth, but has not left behind its flawed tendencies toward racism, political machinations, warmongering, and megalomania. These self-destructive traits taking center stage in the story as our two heroes are sucked into a world of intrigue they never imagined possible, where a solar system wide war threatens to erupt even as an ancient alien technology is unleashed upon all of humankind! Sounds interesting I know. But from the first, I really had trouble getting invested in this story. Now, as my reading friends will tell you, I’m a character guy. I absolutely need, at least, one character I can empathize with or care about. They do not have to be just like me, share all my beliefs, look like me, or anything else, but there has to be something about them that I care about. Some trait which makes me hang on the edge of my seat wanting to see them succeed or survive or whatever. And if I don’t get that one character, it is difficult (though not impossible) for a story to hold my attention. In Leviathan Wakes, I do not think I’m stretching the truth when I say that Holden and Miller were pretty much the whole show. Sure, there were other characters introduced, named, and talked about here and there, but they were just scenery for our two archetype characters to interact with. And so either I had to “connect” with one of these two or not have anyone to rout for throughout this scifi mystery. Let us take a closer look at our two bachelors. Bachelor number one is Holden; a young, tough, attractive, optimist, who believes people will always make the right decision if given the truth. Bachelor number two is Miller; this middle aged detective is beaten down, rugged and uber pessimist, believing humanity is composed of dumb sheep ready to follow the next person who comes along promising a nice meal and a place to lie down. They both sound pretty simple, don’t they? And they really are simple as simple can be. Instead of names, the authors (Daniel Abraham and Ty Franck writing as James S.A. Corey.) could have just as easily given them nicknames like Mr. Sunshine and Mr. Rain Cloud. Holden and Miller are that one dimensional. For whatever reason, I decided not to pick either of these charming bachelors to rout for. Instead, I disregarded my foreboding of future frustration and forged on with the story, holding tight to those great reviews I’d read, which gushed about how amazing this space opera mystery would eventually be. In fairness, those reviewers were not misleading me, because the mysterious plot in Leviathan Wakes was a good one. Missing woman, dangerous rebels, political intrigue, megalomaniacal plots, and alien entity. The authors included them all, creatively retooling these scifi themes from the past into something new and shiny. But, for me, it ultimately came down to a real simple question: Why do I care about any of it? Unfortunately, I didn’t. Holden and Miller having left me cold. No other characters of any note arising for me to care about. And all the scifi fun just useless fluff without any real meaning. Am I saying that Leviathan Wakes is a horrid novel that no one should read? Nope. It just wasn’t for me. Like I’ve explained, the lack of a character to care about ultimately ruined all the good time scifi mystery, suspense, action, and horror that the authors wove into the narrative. But you are you and I am me, and perhaps this novel might be the perfect story for you. So give it a try and see for yourself. 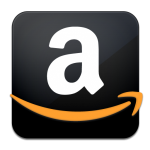 Buy the novel at Amazon. 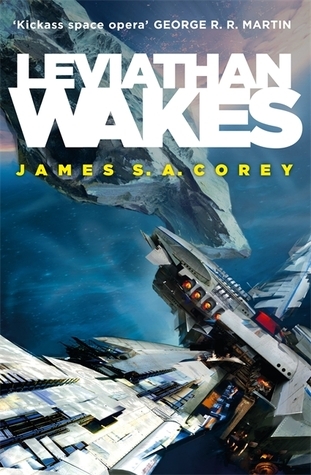 This entry was posted in 3 Stars, Science Fiction, Space Opera and tagged Daniel Abraham, Expanse, Expanse series, James S.A. Corey, Leviathan Wakes, science fiction series. Bookmark the permalink. The first book was a bit rough, but the subsequent installments do get A LOT better. I believe I’ve heard that the authors split writing duties, each one taking on a couple characters and at this early stage I could tell they were still plenty kinks in the process. If you do pick up the next book though, you can breath a sigh of relief that there are all new character POVs (except Holden), so at least no more Mr. Rainy Cloud 🙂 Plus in Caliban’s War you will get to meet Christjen Avasarala. She’s…interesting. Let’s just say there’s a reason why she’s everyone’s favorite. I really enjoyed this, until I tired of vomit zombies and set it aside for “later”. Years later I still haven’t picked it back up. I can empathize with you. I honestly had to make myself finish this one. It’s indeed entirely possible that the enthusiastic reviews you read might have set your expectations far too high. Having read the first book before the publicity hype started, I approached it in total innocence, so to speak, and enjoyed it quite a bit: I’ve recently read book nr. 5 and to me this series keeps improving. I’ll join Mogsy’s recommendation and urge you to try book 2 because… Avarasala! Enough said… 🙂 Hope the second time around will work better for you! Hype for a book is a horrible thing in my opinion. It has ruined several of my reads this year, I truly believe. Ah yes, the dreaded hype train. I met that head on many times, and many times is has lowered my enjoyed of the novel because I was indeed expecting something revolutionary. I was thinking about trying to read this before the show hit Syfy, but in the end, I changed my mind. Already working on too many series right now. I can see this being a good tv show. The writers will be forced to have lots of well developed characters, which will solve the issues I had with this book. Jhereg: Teenage Favorite Disappoints in Re-read.